“UFC Fight Night 24: Nogueira vs. Davis” took place Saturday night inside the Key Arena in Seattle, Washington. 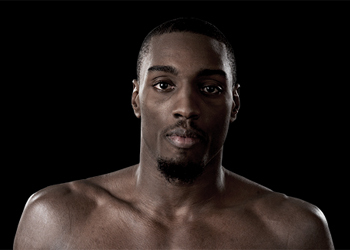 Phil Davis earned a unanimous decision victory over Antonio Rogerio Nogueira in the card’s featured attraction. The only controversy surrounding Davis’ win was how lopsided the final score should have been. While most won’t argue he took the final two rounds, Davis was stuffed on every single takedown attempt in the opening five minutes. He was also tagged several times on his failed tries. Regardless, it’s a moot point as “Mr. Wonderful” was rewarded with a runaway 30-27, 30-27, 30-27 verdict. According to the UFC, 14,212 fans packed Key Arena and garnered a live gate of $1,182,850. Both UFC Fight Night records. Phil Davis was extremely humble in victory. He was very classy when discussing his respect for both Nogueira Brothers. Urijah Faber will challenge bantamweight champ Dominick Cruz at UFC 132. The Octagon will be going dark until “UFC 129: St-Pierre vs. Shields” jumps off in front of 55,000 screaming Canadians on April 30th. However, the UFC’s other company will host “Strikeforce: Diaz vs. Daley” on April 9th.